Titus Aelius Hadrianus Antoninus Augustus Pius was Roman Emperor from 138 to 161. He was one of the Five Good Emperors in the Nerva–Antonine dynasty and the Aurelii. He died of illness in 161 and was succeeded by his adopted sons Marcus Aurelius and Lucius Verus as co-emperors. 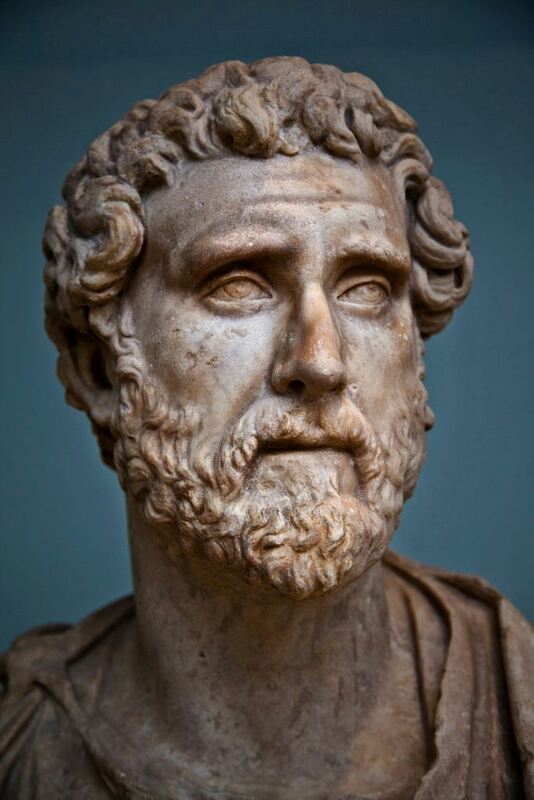 (14) Antoninus Pius 138-161 A.D.
(15) Antoninus Pius 140-144 A.D.